If you didn’t know already, Chikka was finally shut down last March 31, 2018 after nearly 20 years of service. 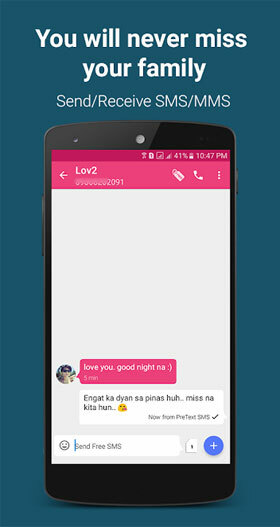 Chikka was a popular instant messaging application that allowed users to send and receive free SMS or text messages. Many Chikka users were saddened by the company’s sudden decision to shut down its SMS messaging platform. Chikka users flooded the company’s Facebook page with comments, asking it to reconsider its decision. Some users thanked Chikka for providing a service that enabled them to send free text messages when they ran out of prepaid load credits. A few users also asked if there are any free alternatives to Chikka. Fortunately, there are few websites and applications that allow Filipinos and Philippine residents to send free text messages. Magtxt is a website where you can send free and unlimited text messages. 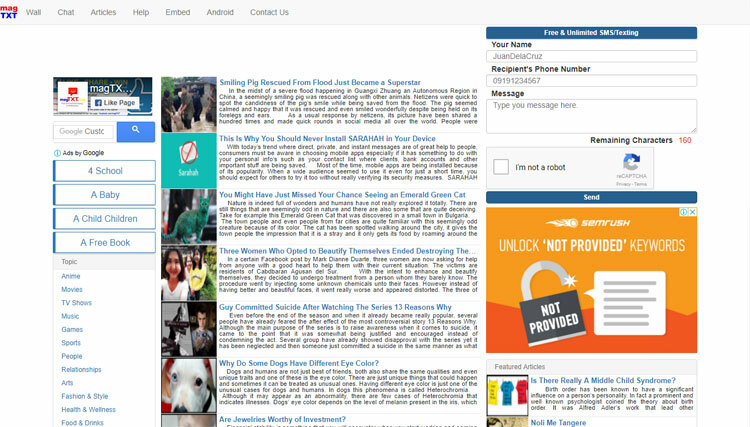 The website looks like a blog or news website at first, but you can see a blue button on the top right portion of the page. Clicking it reveals a small form where you can enter your name, the recipient’s phone number, and your message. The message is limited to a maximum of 160 characters, but don’t worry, you can send as many text messages as you want. The only drawback is the captcha challenge that you will have to solve every time you send a message. But for the price of free, it’s worth the time and effort. I tested the service using my mobile number and true enough, I received a text message after a few minutes. 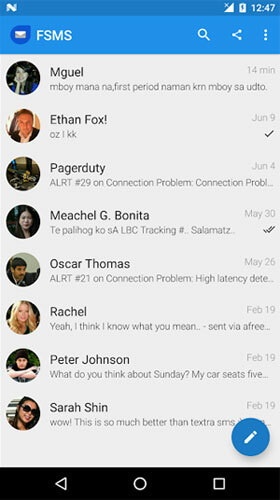 TxtLibre is another free SMS messaging website similar to Magtxt. 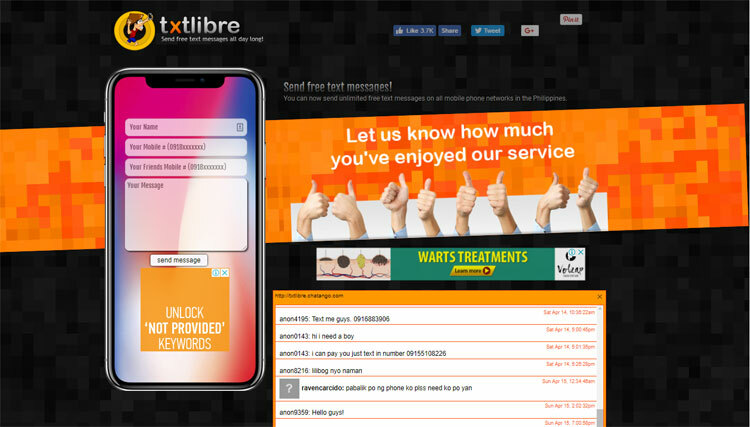 TxtLibre allows anyone to send unlimited free text messages to all mobile networks in the Philippines. Unlike Magtxt, TxtLibre allows you to enter your mobile number aside from the recipient’s number. This is quite helpful if your recipient wants to reply to you directly. AFreeSMS.com is a free online text messaging service that allows you to send unlimited free SMS messages anywhere in the world. It’s easy to send a free text message using AFreeSMS.com. Just enter the mobile number of your recipient and your message. Since there is no option to enter your name, you will have to include it in your message so that your recipient will know who is the sender. The recipient will receive a clean SMS with nothing else appended or attached to it, unlike other free text messaging services. I tested this service and I received the text message within seconds. After sending a message, it shows a nice confirmation page with all the information you entered. Pretty neat! FSMS or Freedom SMS is a mobile app that offers free text messaging with no registration required. 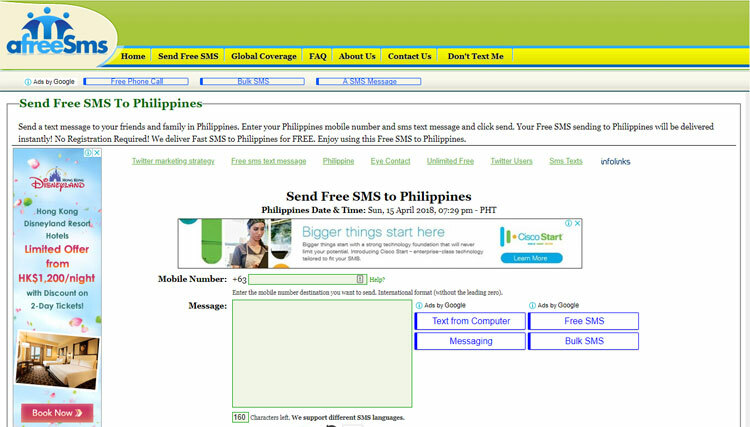 Simply download and install the app and start sending free SMS messages to any mobile number in the Philippines. The best thing about FSMS is the two-way SMS feature, wherein the recipient can reply directly to your message and you will receive the response on the FSMS app. This is perfect for OFWs who can use FSMS to send and receive text messages from the Philippines without the need of a roaming SIM card. The recipient doesn’t need to have the FSMS app installed on his or her phone. At the moment, free text messages are limited to 15 SMS per day. Just like Chikka, FSMS has an address book feature for easy and quick access to your contacts. Another Chikka alternative, the PreText SMS mobile app provides free text messaging to all mobile networks in the Philippines. Just like FSMS, PreText SMS has a two-way messaging feature that gives recipients the ability to reply directly to your messages. Replies cost P1 per SMS and free if subscribed to an unlimited text promo. Free SMS sending is limited to 10 SMS per day. It has a chatbox feature that allows you to chat with other PreText SMS users. Chikka may be gone forever, but don’t fret, as there are Chikka replacements and alternatives that allow you to send free text messages to anyone in the Philippines. Whether you are an OFW who wants to communicate with your loved ones back home, or just an ordinary Filipino who ran out of prepaid load, you can turn to these Chikka alternatives to send that all-important text message.